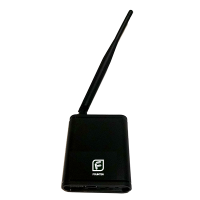 The Founten Extended Range Wireless Gateway has a wireless signal that reaches twice as far as the FS-GATEWAY. A single gateway is able to manage and communicate with up to 2000 Founten products. The gateway utilizes intelligent wireless technology to provide a secure and reliable connection. The gateway will automatically connect with any Founten products within range, which will then repeat the gateway’s wireless signal to create a mesh network between all the Founten products installed at your property.